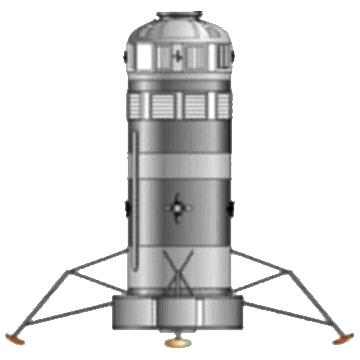 •Landing Kit: Includes the lunar landing legs, infrastructure, landing radar, etc. Going into space is an expensive proposition; there really is no way around this important fact. The old adage “No bucks, no Buck Rogers” certainly encapsulates this sentiment. This (probably) is why only nations so far have attempted this feat. But there is a sea change underway. Private industry has been getting into the act recently, albeit with a little help from their friends, the US government. So far, however, the Return On Investment (ROI) has been woefully inadequate. There has to be a way to not only finance everything that is needed for a trip to, say, the Moon, but to also make a reasonable ROI (we define a “reasonable” ROI as anything greater than 10.0%). Enter the Boeing Space Tug Study (circa 1971). This reusable spaceship included a design for a Crew Module (CM) and an Engine Module (EM) that were connected together, Apollo-style. Note: For a detailed treatment of this spacecraft and the equation that follows, please see the previous issue of RocketSTEM (May 2014). The Boeing ship also held one last surprise: a lander kit designed to be attached to the spacecraft to form a reusable lunar lander! The lander kit included the landing legs, a landing radar, extra batteries, etc., and weighed 890 lbs. Additionally, a donut-shaped Payload Tray was attached to the bottom of the lander to allow crews on the lunar surface easy access to the cargo brought down. Boeing had truly outdid themselves back then. Despite how formidable the Boeing space tug was, it was never funded, which is to say, it was never built. But what if it had? Would there have been a way to pay for not only the development and engineering cost, but the day-to-day operating costs as well? We estimate a lunar investment of no more than $25B USD total to build and fly the reusable Boeing Space Tug Lunar Lander and all associated equipment and other spacecraft. This includes flying the lander into lunar orbit and back, as well as replenishing the EM propellant tanks and refurbishing the CMs. There exists on the Moon a commodity that is relatively easy to mine and at one time sold for $442,500 per carat. But let’s not use that figure. Instead, let’s use the price of lunar meteorite, since that is close enough to our mysterious lunar material. A 0.08 gram chunk of the famous lunar meteorite NWA 4881 is selling for around $200. Dividing $200 by 0.08 grams equals $2,500 per gram, which is the price of an average quality diamond. But let’s not use that figure either. Let’s instead set the average selling price at $1,500/gram for this lunar commodity. The Boeing Space Tug with a Lunar Lander Kit attached could have easily brought back this lunar material. But how much of it? To the ideal Rocket Equation, derived by the awesome Russian rocket pioneer Konstantin Tsiolkovsky. A Payload Tray weighs 1,500 lbs, and the science equipment we will deposit on the lunar surface weighs in at 8,250 lbs. To make the math easier, we will replace the science equipment with the same amount of lunar material. We will continue to use the CM (with a crew of ten) and the EM from the previous RocketSTEM article. Since the lunar lander is capable of producing more ∆V than is required (that is, since 4,184 mps is greater than 4,071 mps), we can therefore conclude that this spacecraft lander configuration is sound. 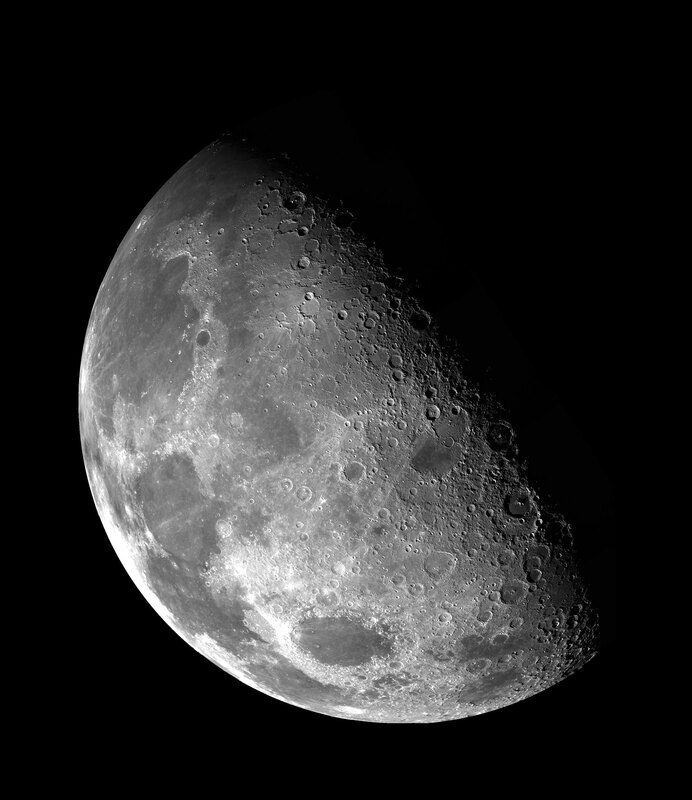 This means that we can safely bring back 8,250 lbs (3,742 kg) of lunar material. Subtracting the lunar investment from the Gross Income equals $3,065,000,000. That’s over three billion US dollars in profit! So we get to have ten people walk on the Moon, we get to reuse the lander, we get all of our money back, and with a tidy profit. Even more incredible is the fact that this lunar landing mission uses a spaceship that was designed way back in 1971. Now, what can this very mysterious lunar material possibly be? The answer is: why, lunar material of course; better known as Moon rocks!